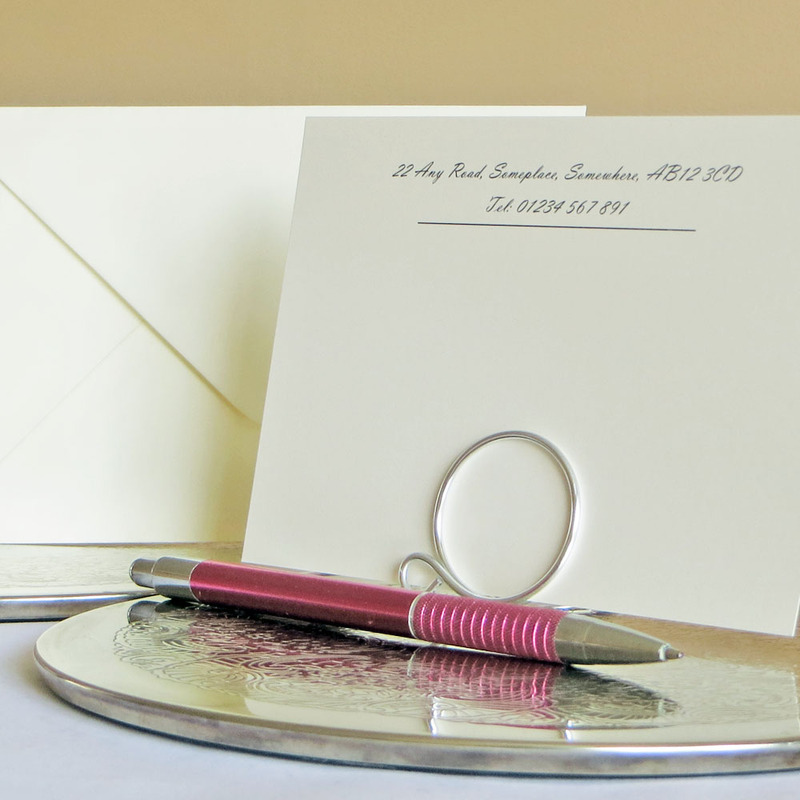 Personalised Correspondence Cards design C01 with a simple plain divide design. Suitable for personal and business use. Sold in multiples of 10 complete with colour coordinated envelopes. 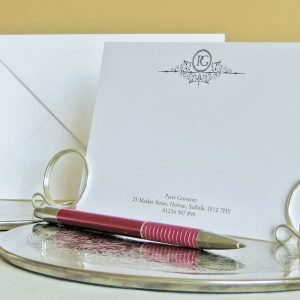 Personalised Correspondence Cards C01 are printed with a simple plain divide drawn underneath your personalised details. 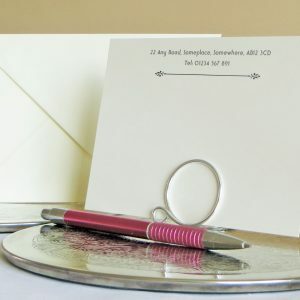 This leaves plenty of room for you to write you message on the card. Fully personalised with a choice of fonts. 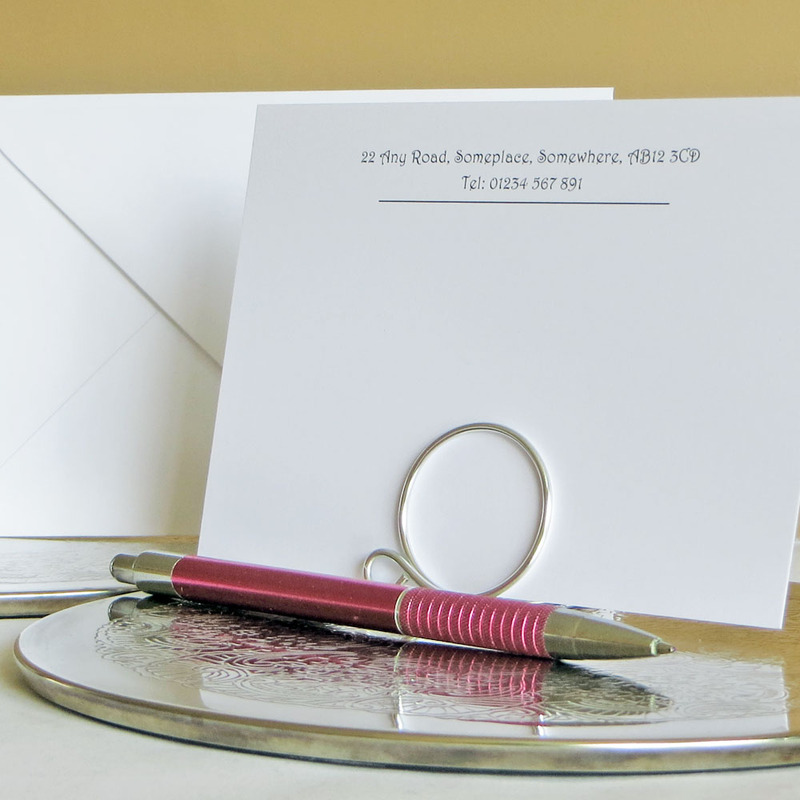 A6 post card style with black print onto 330gsm white or ivory card to one side only. Packaged securely for safe delivery with free 2nd class postage in the UK included. Upgrades to 1st class or 24hour delivery available if required. Free proof which can be amended until you are 100% happy before we go to print, then professionally printed using digital press technology. 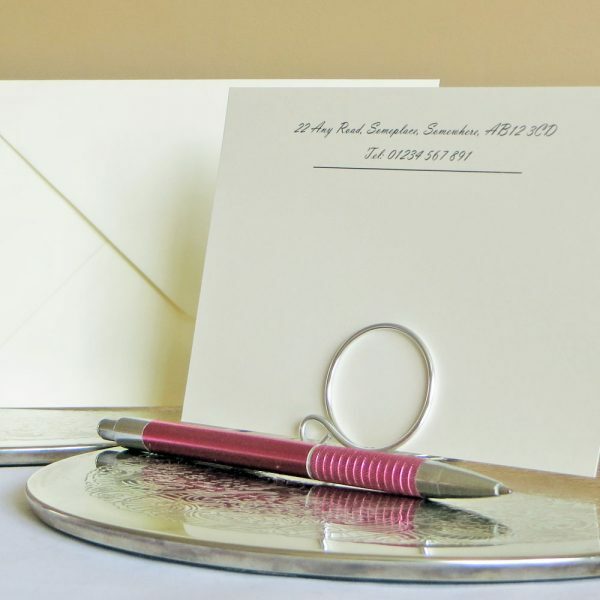 Personalised correspondence cards design C01 are sold complete with colour coordinated envelopes in multiples of 10. This design reference is C01 you will need this to fill out your details. We strive towards an excellent service for all our clients and aim to accommodate wherever possible your requirements. If you need your personalised correspondence cards immediately then please contact us before you order. These are low resolution photographs and the colours may look slightly different on your computer according to your screen settings. Should you have any queries please do not hesitate to contact us quoting C01. 330gsm card stock with 100gsm colour coordinated envelopes.